to ski and climbing gear rental. 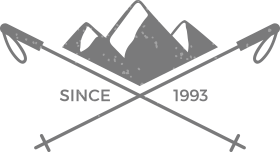 Created in 1993, Sportech arose from our passion for the mountains and skiing. Our shop in the heart of Argentière combines a welcoming mountain atmosphere with expert staff and attentive service. After 15 years spent working with World Cup skiers and some of the biggest brands in skiing, Jean-Michel has brought together a team of people who share his passion for quality work and for meeting the needs of every mountain lover. In order to provide a more comfortable experience for our customers, Sportech has completely remodelled its store, combing the two shops into one and creating a top-quality boot-fitting area. Our team of specialists, most of whom have been with us for more than 15 winter seasons, pride themselves on providing every customer with a truly personalised service. 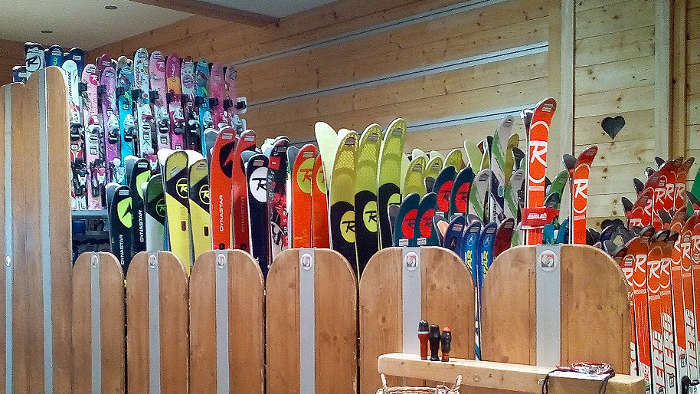 We stock a wide spectrum of brands, each carefully selected to cover the needs of all types of skier. Sportech specialises in renting top-quality ski gear and in selling a full range of accessories (helmets, goggles, sunglasses, base layers, socks, etc.). Our team - whose watchwords are service, friendliness and expertise - will welcome you to our shop in the centre of the village seven days a week. Every one of our customers is equally important. Whether you are an experienced athlete, an enthusiast or an occasional skier, we will advise you on the gear most suited to your needs. To help you make the right choices, we enable you to try gear before buying it. And we have selected a wide range of products from the world’s leading brands, so you are sure to find your heart’s desire. Sportech is first and foremost a family affair, a family of mountain lovers and skiers. And this is the spirit we wanted to create in our shop. Over the years, we have built up true friendships with our customers, whether they are ski instructors, mountain guides or holidaymakers visiting our village. Take the time to chat with us, to ask about gear, to talk about past skiing experiences and future adventures. We hope you will learn from us. We certainly learn from you and, for that, we thank you. "La main trop courte pour rendre service l'est aussi pour atteindre aux places élevées"